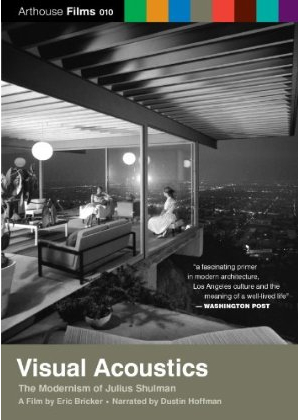 This entry was posted in mid-century modern, modern architecture, special events and tagged documentary, eric bricker, julius shulman, visual acoustics by Toby Weiss. Bookmark the permalink. Hmm, this sounds like a good idea. BTW, Ms. Weiss, thanks for the after-film Q&A at Webster U. Always fun to hear a little background on a project like this film. Also highly recommended: the six disc set of the films of Charles and Ray Eames. Gives one new insight into the meaning of creativity.